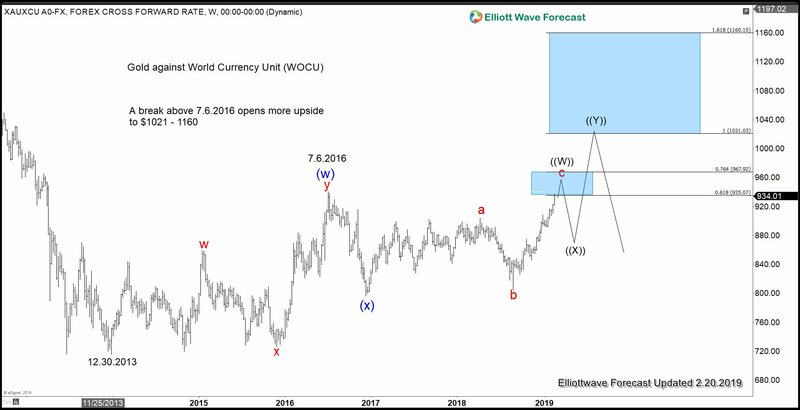 We have highlighted the possibility that Gold can quickly retest the high in 2018. The chart below shows the yellow metal has broken above a long term bearish channel from Sept 5, 2011 high. In addition, it has successfully closed above the ascending trend support from December 3, 2015 low. In the chart above, a break above 7.6.2016 high will create 5 swing bullish sequence from 12.30.2013 low and opens up more upside to $1021 - $1160 area. 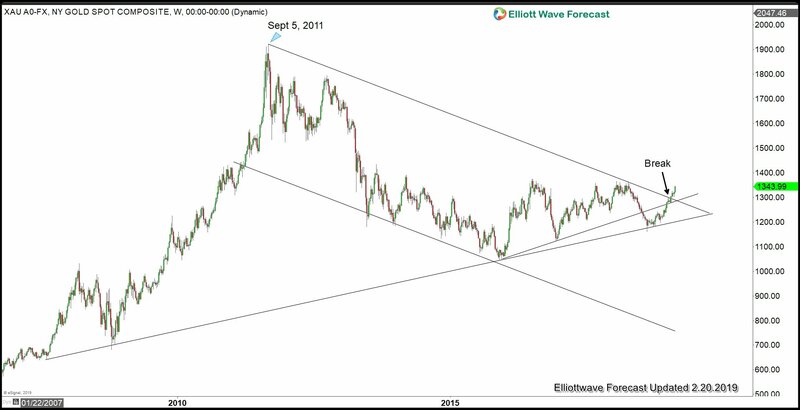 In this article, we will look at the short term 1 hour chart for Gold. 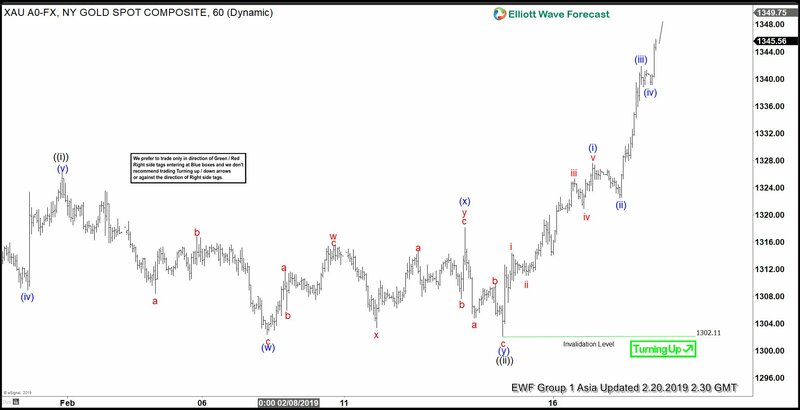 The rally from Aug 16, 2018 low is still in progress as an Elliott Wave Impulse structure. We propose the current rally is still within wave (3) from Aug 16, 2018 low as momentum remains strong. Focusing on the shorter cycle, the rally from 1/21/2019 low ($1276.40) is unfolding in 5 waves of lesser degree. Wave ((i)) ended at $1326.30 and wave ((ii)) ended at $1302.16. Wave ((iii)) remains in progress and while short term pullback stays above $1302.11, expect Gold still to extend higher. Caution is warranted once Gold does retest $1360 as this level provides resistance in the past 5 years. We expect the 5 waves up from Aug 16, 2018 low to end between $1360 - $1400.